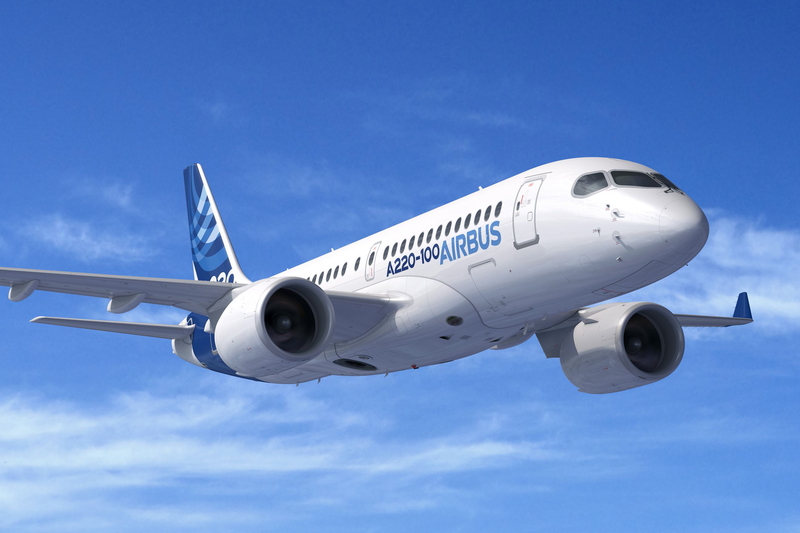 Airbus has broken ground on its A220 manufacturing facility in Mobile, Alabama. The new assembly line, which is the company’s second U.S.-based commercial aircraft production facility, will be located at the Mobile Aeroplex at Brookley, adjacent to the A320 Family production line and will facilitate assembly of A220-100 and A220-300 aircraft for U.S. customers. Aircraft production is planned to begin in the third quarter of 2019 with first delivery of a Mobile-assembled A220 aircraft scheduled for 2020. The new A220 production facilities will be complete by next year. The A220 (formerly the Bombardier C Series) is purpose-built for the 100-150 seat market. Powered by Pratt & Whitney’s latest-generation PW1500G geared turbofan engines the aircraft has a range of up to 3,200 nm (5,920 km). See latest HD Video Interviews, Podcasts and other news regarding: Airbus, A220, A220-100, A220-300, Mobile, Alabama.